By Shaunna Evans 28 Comments · This content may contain affiliate links. When I think of summer I think of watermelon! 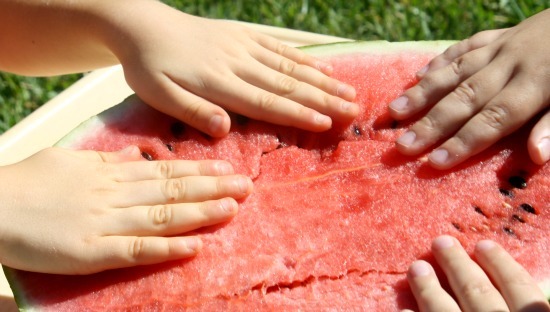 There are so many watermelon activities you can do that involve hands-on learning, sensory exploration, art, and FUN. 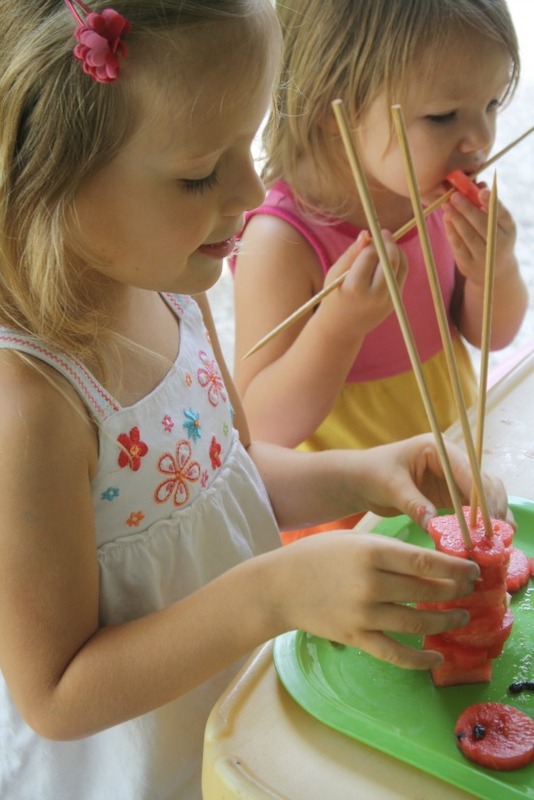 Today I’m sharing some of the creative ways we’ve been playing and learning with watermelon. Want even more ideas? 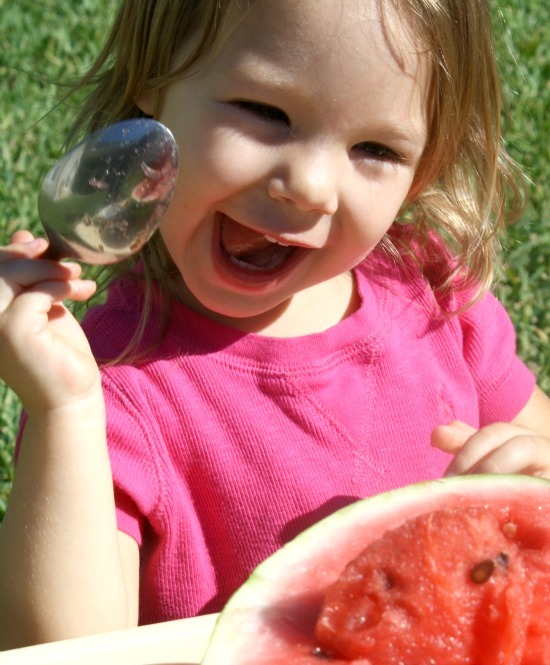 Continue the fun with a full week of watermelon play and learning with our printable lesson plans for home preschool and home preschool. Then I invited the kids to make whatever creations they wanted using the materials. Big Buddy also started with a tower. When it started to fall over he spent some time problem solving to come up with ways to help the structure stand on its own. After Tinker had eaten enough she also joined in the play. This was great fine motor practice. I saw these lovely watermelon suncatchers on Teach Preschool long ago. 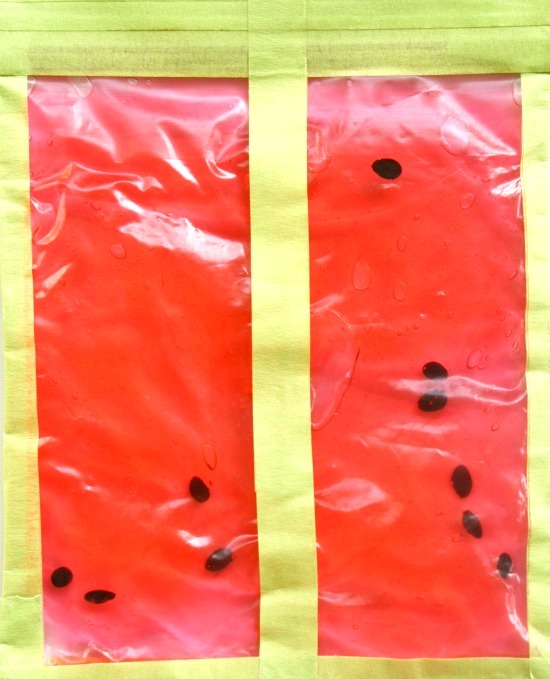 We’ve made squish bags before, but not for a watermelon theme. They are so easy to make, and the kids always love them. Tinker loved watching the sun shine through the bags. She spent a lot of time pushing the seeds around and watching the bubbles in the bag shift around. 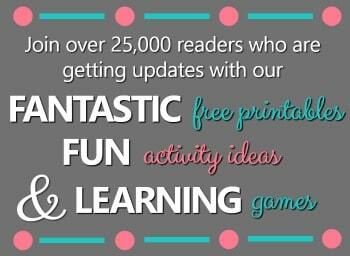 If you follow this blog, you know I love to get a lot of use out of our activities. 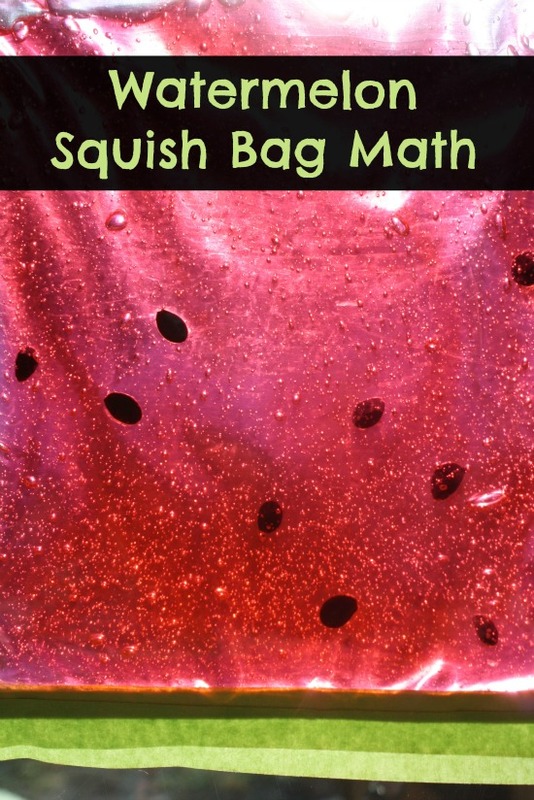 We re-purposed this squish bag into a math activity to help Lovey practice making ten. Once the kids were done exploring the bag on the window, I took it down and added an extra strip of green tape down the middle. Inside there were already 10 watermelon seeds. 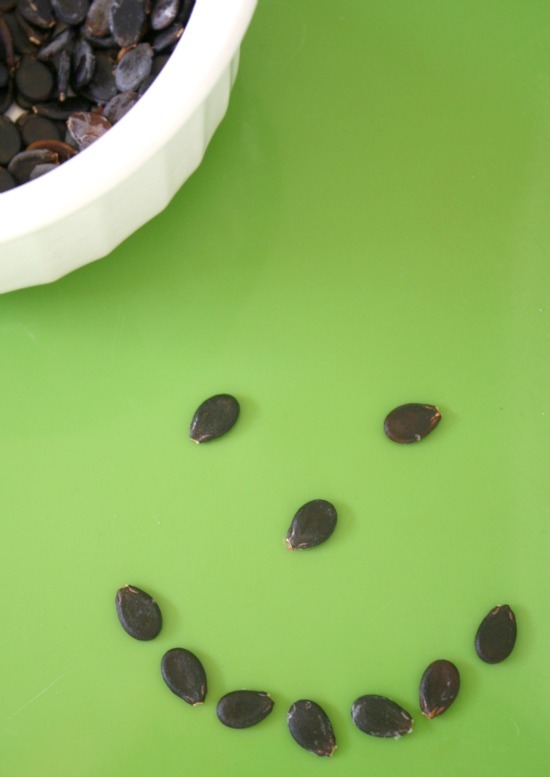 To practice making ten, Lovey would squish the bag to move the seeds around and then lay it flat. She would count all the seeds to make sure all 10 were visible and not hiding behind the tape. Then she would count how many were on each side and we would record the combination on paper. In this example we wrote “4 and 6.” You could also write them as addition sentences, “4+6=10.” We repeated the steps until we had a few different combinations. Even more sensory squish bag inspiration! 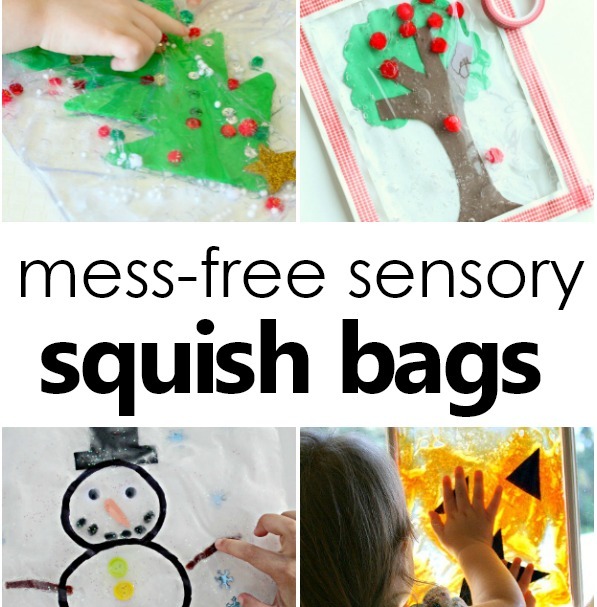 Find sensory squish bags for every season here. 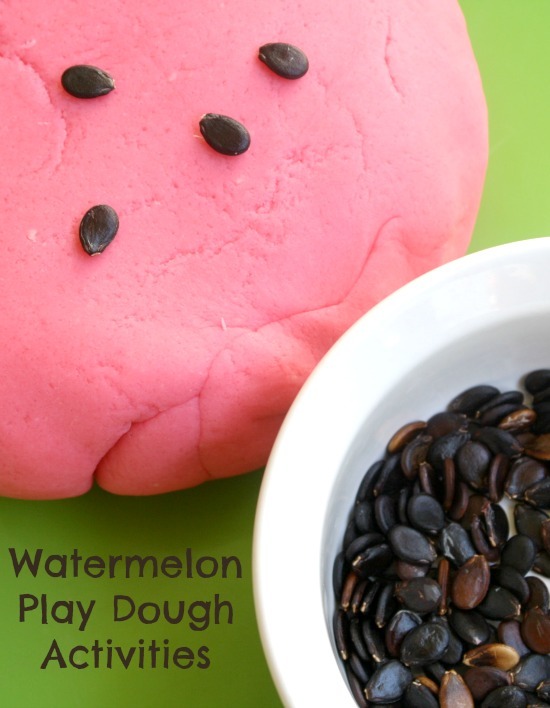 We made a wonderful batch of watermelon play dough. 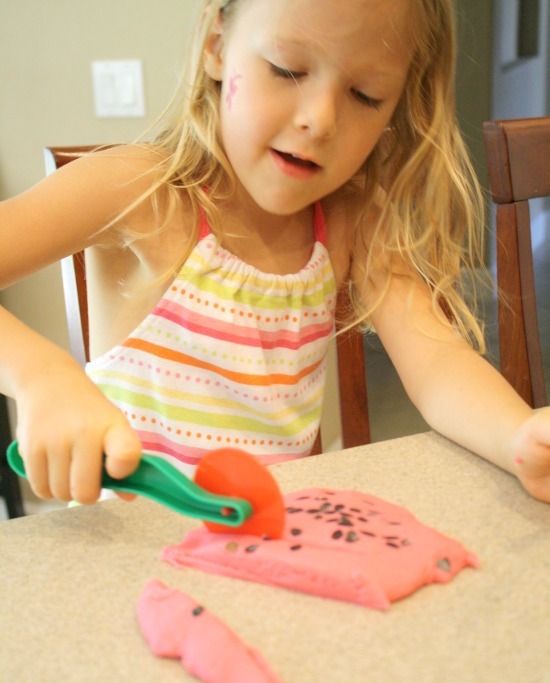 You can use you favorite play dough recipe or try this recipe from Sugar, Spice and Glitter. 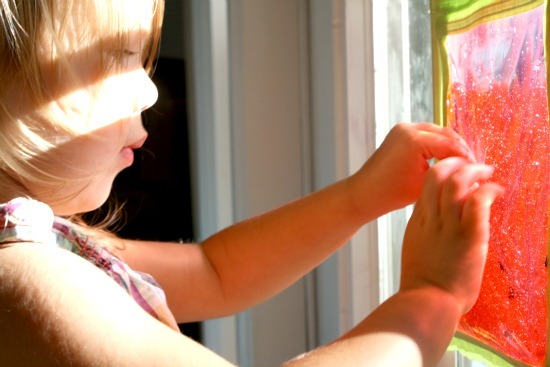 This invitation to explore is another activity inspired by Teach Preschool. It looked like so much fun that we had to give it a try, and I am so glad we did. 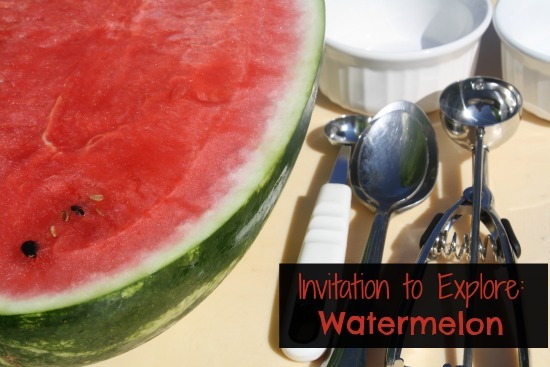 To set up the invitation we cut a large watermelon in half and gathered large and small bowls and a few kitchen gadgets. I set everything up outside so the kids could explore freely and clean would be very easy. Before the kids started exploring on their own we talked a little about the parts of the watermelon and used our senses to talk about its properties. Then they were eager to dig in! They all soon realized it was way more fun to dig in with their hands. They spent the better part of the morning playing. They made watermelon soup, and when all of the flesh was gone the watermelon become a new bug habitat (an ongoing passion the kids have lately). Once they were finished we simply hosed everything off….kids too! 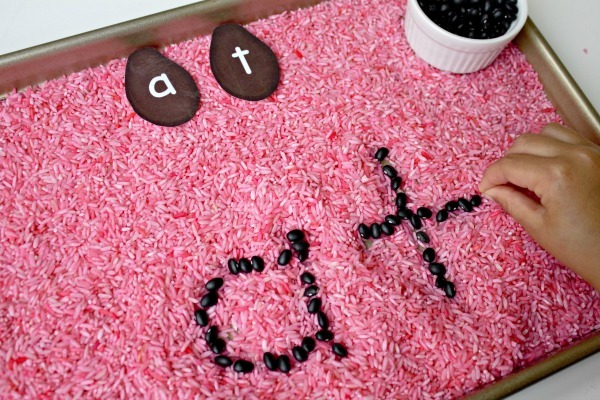 Not quite up for real food sensory play? No worries! 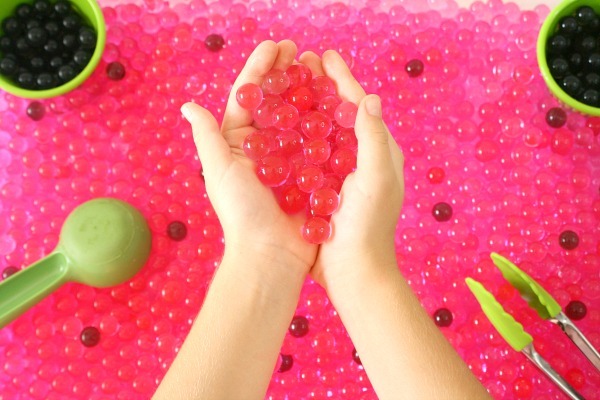 Try our watermelon water bead sensory bin idea instead! 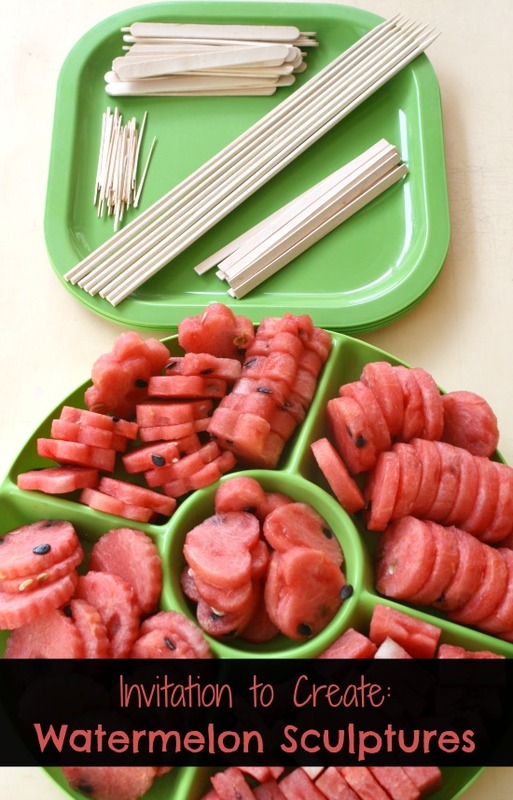 You can also set up a watermelon sensory tray for early writing practice. And of course we love pairing our themes with some great picture books. 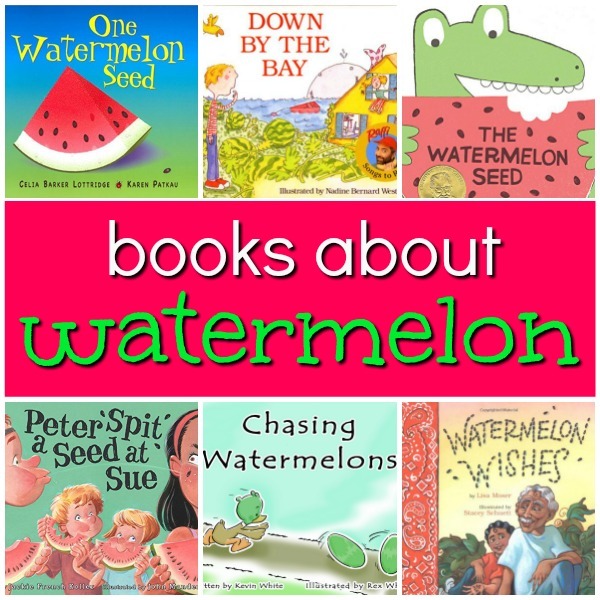 We’ve provided a brief summary for each of our favorite watermelon books for kids here. 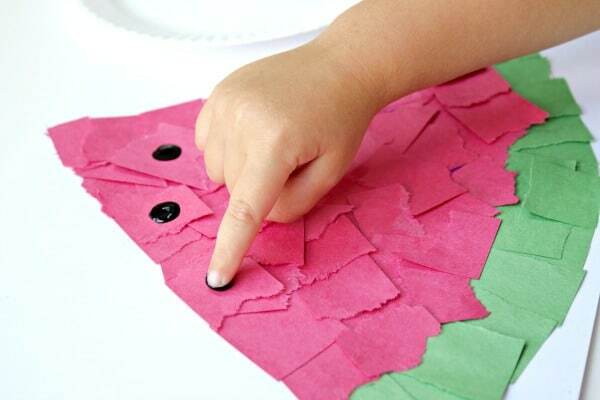 Work those fine motor muscles as you create this torn paper watermelon craft project. What about you? 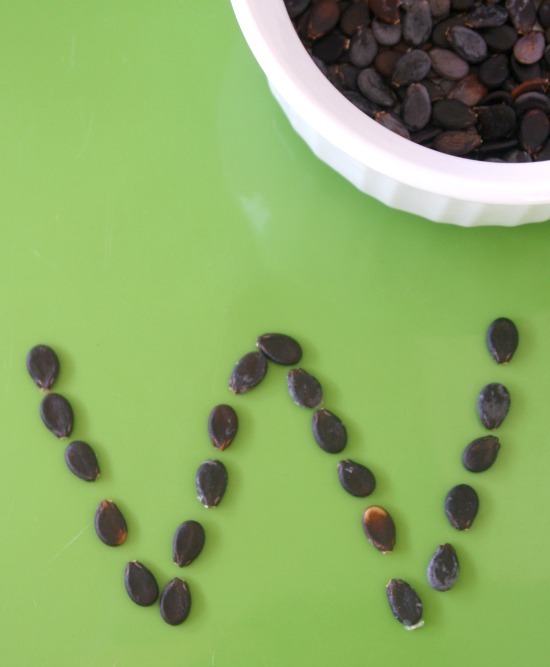 Do you have any favorite watermelon activities or recipes? I’d love to hear about them in the comments. And if you’re looking for more inspiration, we have a whole Pinterest board dedicated to watermelon. Check it out for even more awesome ideas! Thanks for linking up for our first Super Summer Saturday party. Just pinned to our boards to share with our followers. Hope you link up again with some more great ideas this week! What a fabulous unit! I pinned several of these activities. Wonderful ideas! I pinned several and have also linked up with you. Thanks! Thanks for pinning and joining in the linky! How creative! And perfect for summer—I love all these ideas. We would love for you to share at our first Super Summer Saturday party here: http://www.thechirpingmoms.com/2013/06/super-summer-saturday-party.html! I’m kind of in awe of how you pulled this off this incredibly. The kids seem so engaged and perfectly happy with it all. My kids are older now, the youngest 8, so a watermelon to them is nothing more than a favorite summer treat! 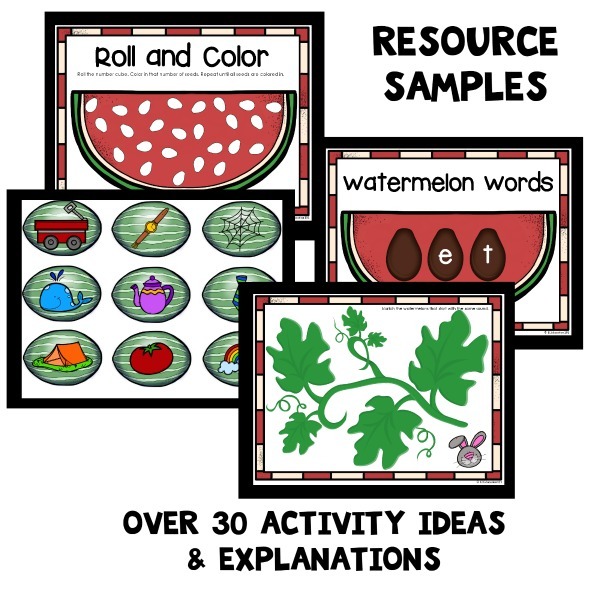 So many fantastic ideas here….loving the watermelon theme! My fav would be the squishy bag. Thank you! 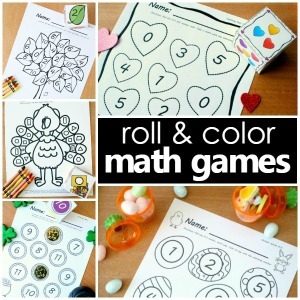 I really enjoyed the squishy bag…I love seeing them on the window in the morning sunlight, and the math activity we were able to do with this one was great for early math practice. Man, I was sold after the watermelon sculptures, but then you have a bunch of other super fun watermelon activities. I definitely see a watermelon day in the future. 🙂 Thanks for the ideas. What a wonderful post! 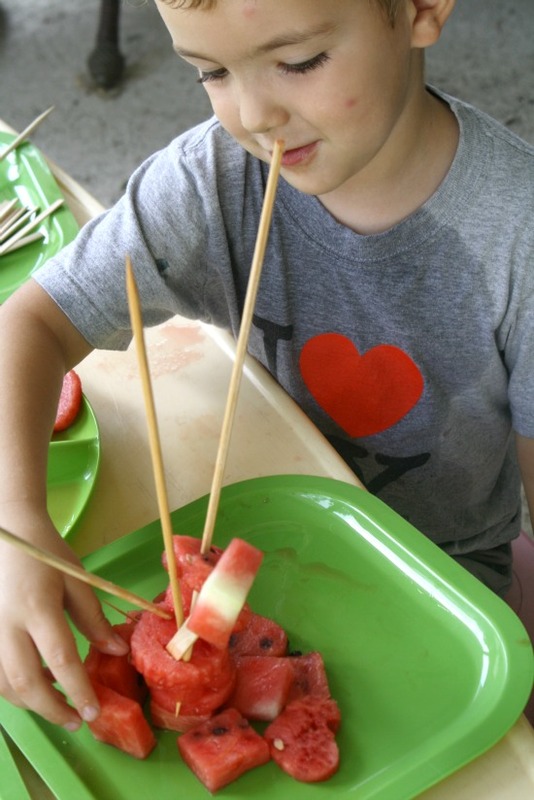 I love all of the watermelon activities! I’m heading to the store now to get some watermelons! 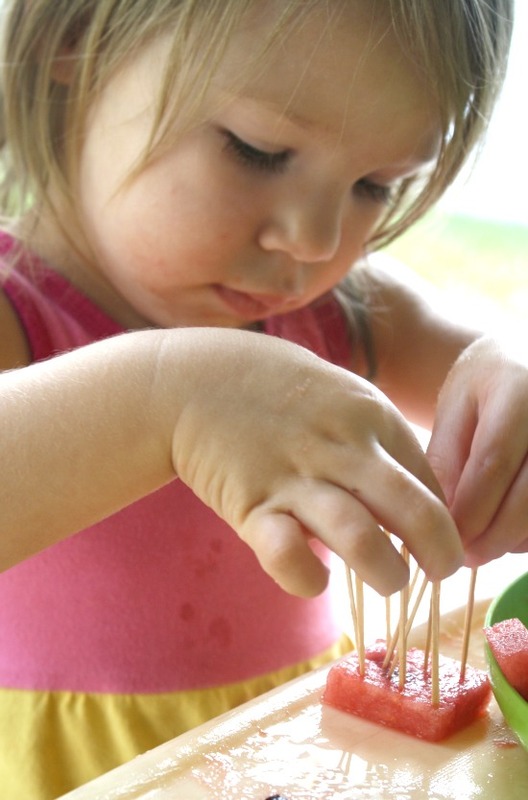 I love the watermelon squishy bags and the watermelon sensory play! What a great idea!!! Thank you! I hope you have as much fun as we did!! This is such a wonderful post! 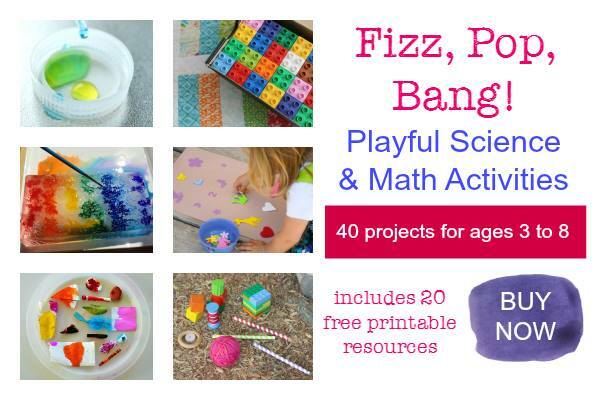 I love all the activities, especially how you turned the sensory bag into early math practice! 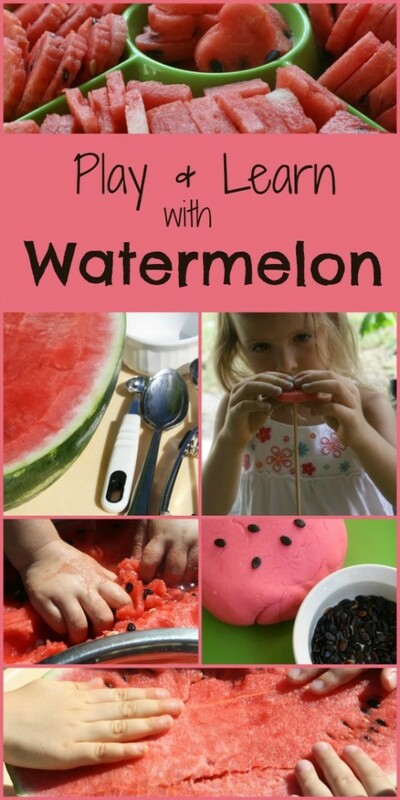 Pinning for next summer’s watermelon fun! Thanks for hosting! All that watermelon is making me hungry! Featured you again this week! I just love everything you do! Love, love, love!! 🙂 Definitely pinning this and adding these ideas to our summer fun. I especially love how your ideas are appropriate for different ages! Thanks! It definitely comes in handy when I can use activities that all of the kids can enjoy participating in in their own ways. Less work, more fun! Thanks so much for sharing at Stress-Free Sunday!